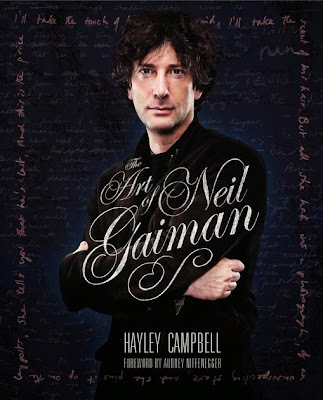 "The Art of Neil Gaiman"
Hayley Campbell's book on Neil Gaiman's life. Not a biography, but it lets you peek at his notes, scribblings, doodles, scripts, writings, and inspirations for his books and stories. There are old photos of him, interviews and anecdotes, and a lot of background info on where he got his inspiration for many of his novels.